Mercy Education Project (MEP), a Detroit nonprofit that provides educational opportunities, life skills development, and cultural enrichment for women and girls who have limited access to resources, enabling them to improve the quality of their lives. 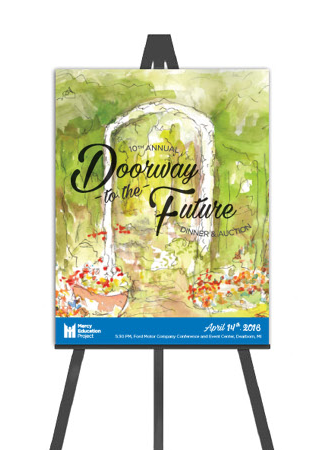 To apply a consistent visual identity to MEP's annual fundraising event, Doorway to the Future Dinner & Auction. The project included eleven digital and print items. 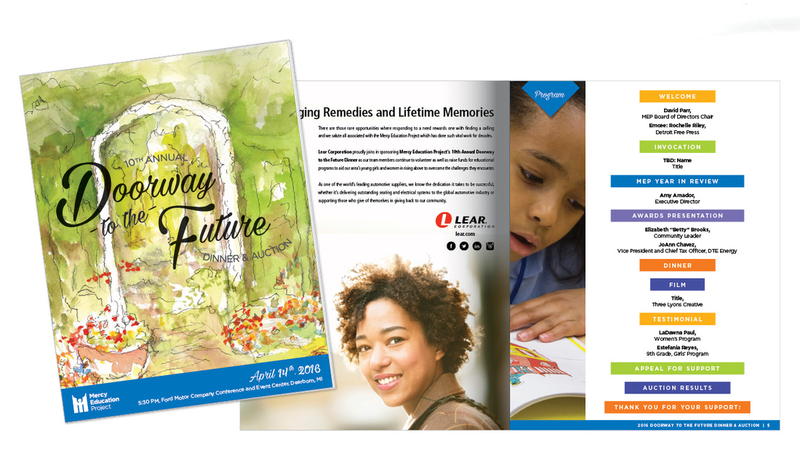 We began by researching Mercy Education Project’s current branding and communication as well as competing nonprofit’s marketing. 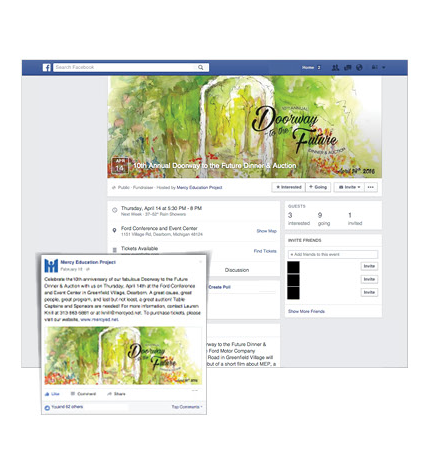 We then prepared two visual concepts for consideration. The concepts were reviewed, revised, and the selected design established the direction for future pieces. 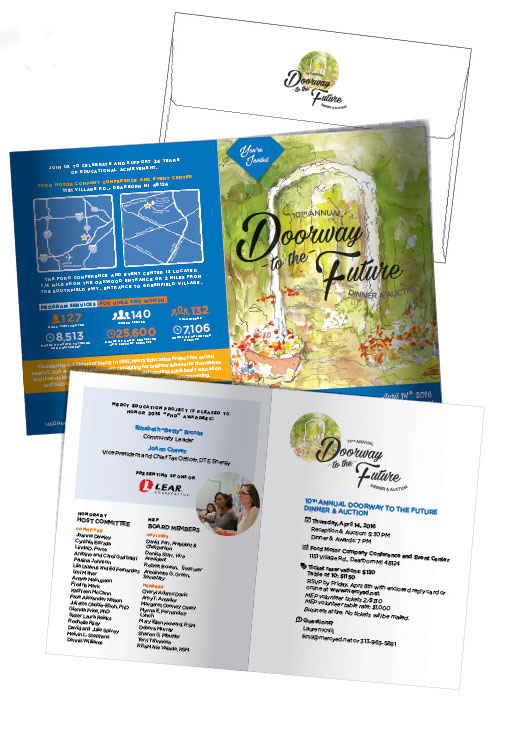 We designed warm and friendly materials including print invitations and envelopes, emails using MailChimp, social media assets, sponsorship brochure, signage for the event, and the multi-page event program.